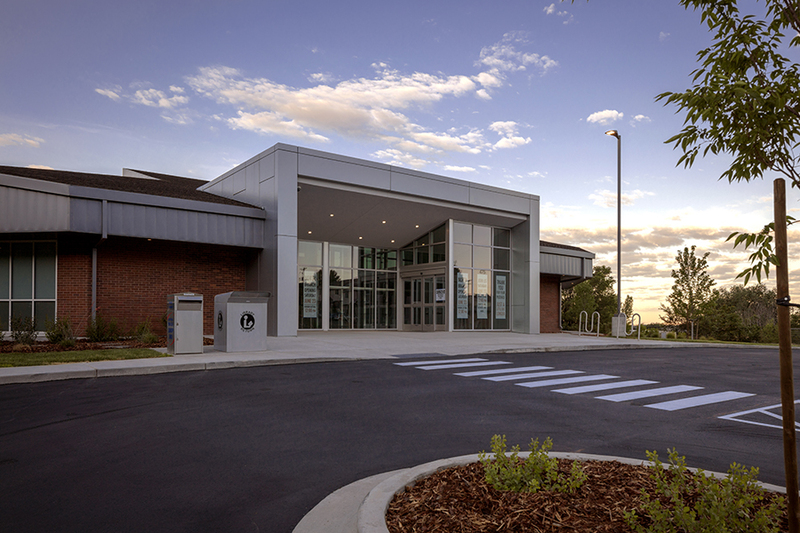 The North Ogden Library Branch Renovation was one of two libraries that R&O Construction completed for Weber County’s Library Bond Initiative. 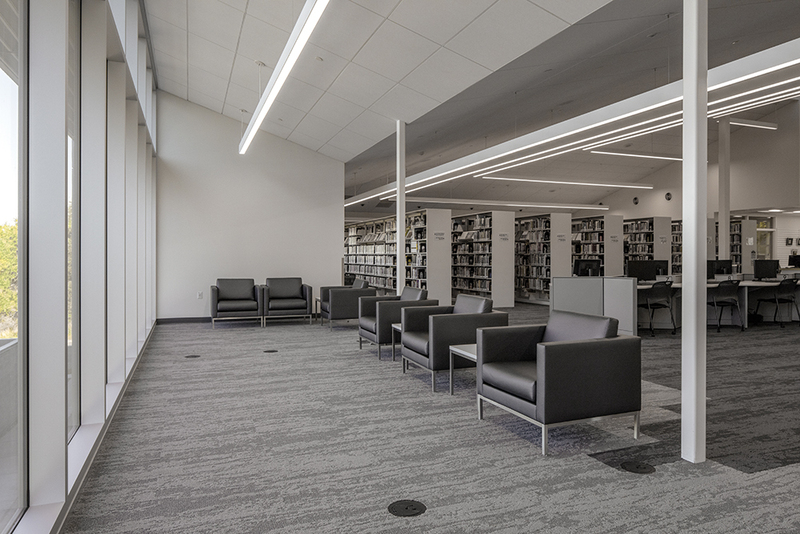 The project completely overhauled the 1980’s library, designed around the “third space” theory, which provides safe, free spaces outside of home or work for people to engage in community activities. 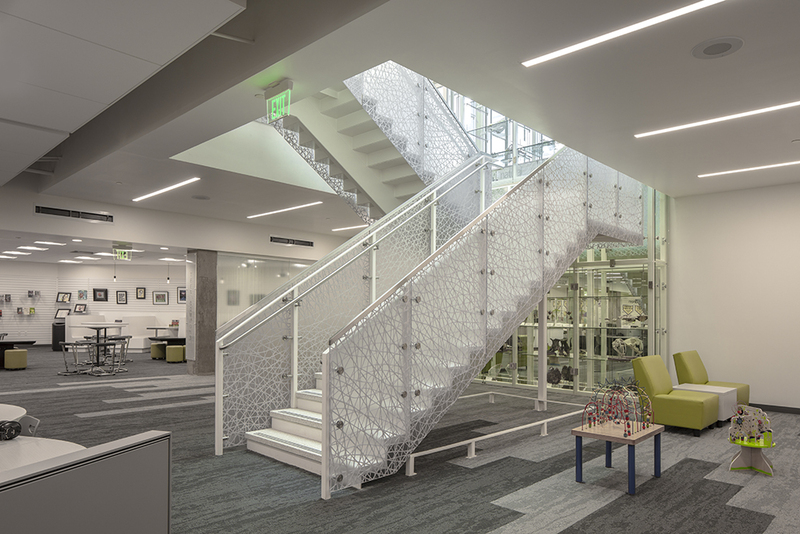 With that in mind, R&O and EDA Architects worked to be responsive to community needs. 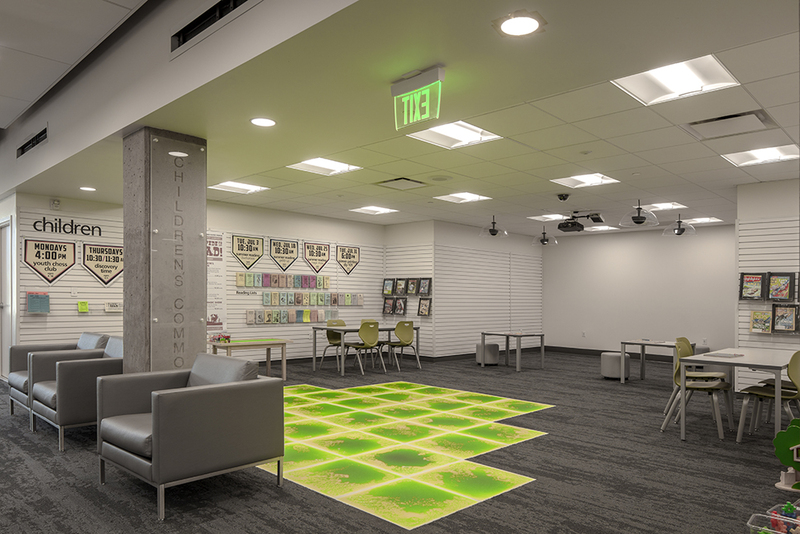 Two new entryways were added and to add more children and youth programs, the basement was finished, adding 12,000 sf. To improve the atmosphere, R&O added floor to ceiling windows and store front on both ends of the building. A cafe with a full commercial kitchen was added and the entire building’s mechanical, electrical and plumbing systems were replaced. A multi-purpose room features a folding partition, projector screen and smart media system. An additional parking lot was added to the rear of the building to accommodate additional library patrons. 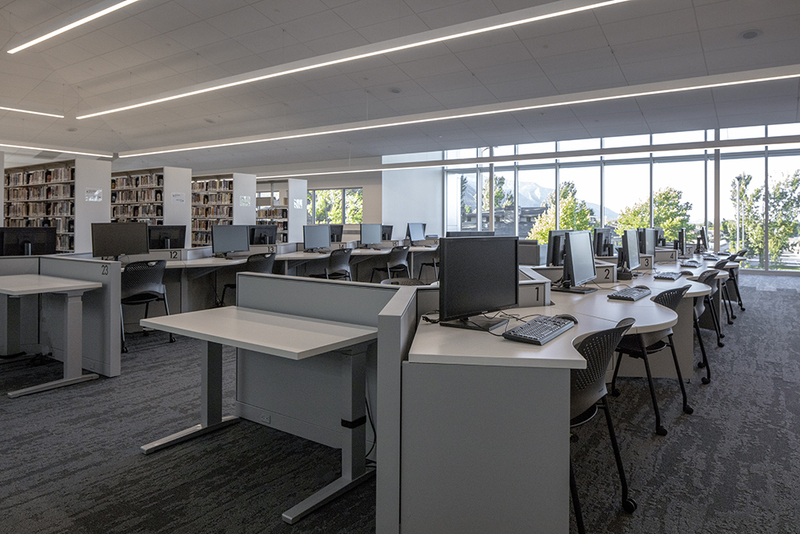 The project was completed on-time and under budget, despite the many unforeseen conditions that come with complex, renovation projects.